#BeidhMéAnn ar 20 Bealtaine, an mbeidh sibhse? Seachtain ón lá inniu beidh Gaeil as gach cearn den tír ag teacht le chéile i mBéal Feirste don Lá Dearg. Agóid agus ceiliúradh atá ann le héileamh a léiriú d’Acht Gaeilge, mar aon le cearta, cothromas agus cóir do phobal na teanga ó thuaidh. Is é An Dream Dearg atá ag eagrú an léirsithe i gcomhpháirt le Conradh na Gaeilge. Pléann Somhairle Mag Uidhir na 6 mhí radacacha atá díreach imithe agus tábhacht an mhórshiúil is déanaí seo. Tráthnóna dorcha i lár mhí Dheireadh Fómhair anuraidh tháinig breis is 50 duine le chéile faoi bhráid ‘An Tionól Dearg’ i mBéal Feirste. Ag leanúint na spéartha taobh amuigh, bhí spionn dorcha ar lucht na Gaeilge a bhí bailithe taobh istigh de Chultúrlann McAdam Ó Fiaich. Ó bhí an toghchán ann i mí na Bealtaine 2016, bhí cúpla mí throm ag pobal Gaeilge an Tuaiscirt. Is ar éigean go raibh aon iomrá ar an Ghaeilge sa chlár rialtais agus bhí airí frith-Ghaeilge ceaptha mar airí Pobail agus Oideachais. Lá i ndiaidh lae bhí ionsaithe á ndéanamh ar an teanga ó fhoinsí difriúla. Mar sin de, bhí rud amháin ann ar aontaigh muid ar fad air ón chéad bhomaite – sin é go raibh sé in am dul i mbun gnímh. An t-aon cheist a bhí fágtha ná, cén chuma a bheadh ar an ghníomh sin? 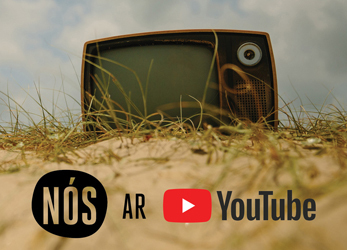 Anois, breis agus 6 mhí níos faide anonn agus tá muid ag druidim i dtreo lá ollmhór stairiúil. Agus beidh an lá mór seo ag teacht sna sála ar an tréimhse is stairiúla le fada an lá ó thaobh na Gaeilge ó thuaidh de. Le sé mhí anuas, tá lógó an Dream Dearg i ndiaidh seilbh a ghlacadh ar na meáin shóisialta, i bhfoirm amháin nó eile. D’éirigh linn, mar phobal, an t-airgead a baineadh go scannalach ó scéim Líofa a fháil ar ais. Bhí sraith agóidí callánacha nuálacha againn i mBéal Feirste, ar an Iúr, i nDoire, agus thuas ag Stormont. Anuas air sin ar fad rinneadh iarracht maoiniú a bhaint ó na cumainn óige Ghaeilge i mBéal Feirste. I bpaimfléad clúiteach Mháirtín Uí Chadhain, ‘Gluaiseacht na Gaeilge, Gluaiseacht ar Strae’, deir sé gur chóir do phobal na Gaeilge an easumhlaíocht shíochánta a chur san áireamh agus iad i mbun feachtais. Lean Gaeilgeoirí óga na cathrach an chomhairle sin nuair a rinne siad suí isteach in oifigí an Údaráis Oideachais i mí an Mhárta, ag éileamh a gcuid seirbhísí ar ais – feachtas a baineadh go luath ina dhiaidh sin. Sé mhí chomh radacach, glórach, agus rathúil ní raibh ann le blianta anuas. Tá an Ghaeilge i lár an aonaigh i gcúrsaí polaitiúla an Tuaiscirt arís. Ní imíonn lá gan tagairt d’Acht Gaeilge le cluinstin ar na meáin. Ach in ainneoin an dul chun cinn, tá obair go fóill le déanamh. Agus muid 20 bliain ar aghaidh ó síníodh Comhaontú Aoine an Chéasta, níl cearta teanga againn go fóill. Tá orainn leanúint leis an bhrú, ar mhaithe le hAcht Gaeilge a bhaint amach, agus ar mhaithe leis na pobail Ghaeilge éagsúla fud na tíre, sna Gaeltachtaí is sna Galltachtaí, a bhíonn ag streachailt go laethúil leis an teanga agus na pobail sin a choinneáil beo is a fhorbairt. 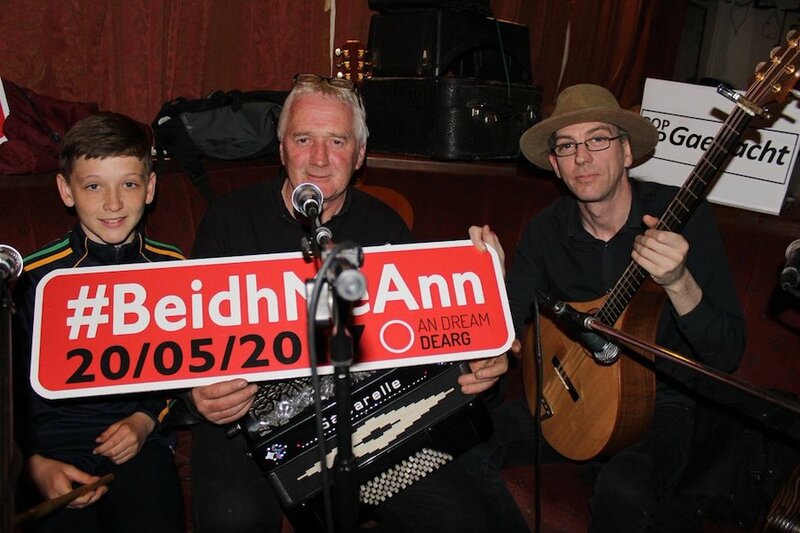 Is é sin an fáth ar shocraigh an Dream Dearg mórshiúl ollmhór a eagrú ar 20 Bealtaine. Beidh daoine, idir óg agus aosta, ag teacht ó cheann ceann na tíre gléasta in éadach dearg. Beidh muid spreagtha is sona, ag déanamh ceiliúradh ildaite ar ár dteanga is ar ár bpobal. Ach ní bhainfidh muid aird ón cheist mhór ach oiread, beidh muid ag seasamh gualainn ar ghualainn ag éileamh ár gcearta. Nó is é sin an t-aon bhealach a bhainfear aon athrú amach. Is cinnte go mbeidh an 20 Bealtaine speisialta. Buaicphointe eile i dtréimhse dhochreidte. #BeidhMéAnn – An mbeidh sibhse? Tosaíonn An Lá Dearg ag Cultúrlann McAdam Ó Fiaich, Béal Feirste, ag 12in Dé Sathairn 20 Bealtaine agus siúlfaidh sé go Halla na Cathrach. Beidh G Spota Dearg ar siúl in Áras Mhic Reachtain an oíche sin ó 8in.